Has Israel Grown Too Dependent on the United States? Cracks are increasingly discernible in the famous “special relationship.” Can they be repaired? If not, could Israel’s national security survive the loss of American military aid? Mike Pence and Benjamin Netanyahu on January 22, 2018 in Jerusalem. ARIEL SCHALIT/AFP/Getty Images. Charles D. (Chuck) Freilich, a former deputy national security adviser in Israel, is a senior fellow at Harvard’s Belfer Center. His book, Israeli National Security: A New Strategy for an Era of Change, is forthcoming from Oxford. Israel’s relationship with the United States is a fundamental pillar of its national security. Militarily, diplomatically, and economically, American support has for decades been a vital strategic enabler. For consultations on emerging events, Washington is usually Israel’s first and often sole port of call, almost always the foremost one, and inevitably the primary address when planning how to respond to such events. Indeed, Israel’s reliance on the United States is so great today that the country’s very survival is at least partly dependent on it—with, as we shall see, a variety of consequences not all of which are salutary. First, some historical background. Contemporary readers may be surprised to learn that, until the late 1960s, the Israel-U.S. relationship was actually quite limited and even cool. Only in the aftermath of the Six-Day War (1967) and especially the Yom Kippur War (1973) did it begin to evolve into a more classic patron-client setup, and not until the 1980s did it start to become the institutionalized and strategic “special relationship” we know today. And it truly is a special relationship: a largely unprecedented arrangement for the U.S. and a critical one for Israel, encompassing ties in all spheres of national life—military, political, economic, diplomatic, and cultural. Even through episodes of government-to-government disagreement and discord, not to mention the continual criticism of various Israeli polices by American elites of one stripe or another, popular support for Israel remains high in the U.S., by some measures higher today than ever, and the security relationship itself remains not only fundamentally strong but extraordinarily close. Let’s count the ways. Economically, the United States is Israel’s single biggest trading partner (only the EU taken as a whole is larger), with bilateral trade in 2016 running at approximately $35.5 billion. The two countries signed a free-trade agreement in 1986, the first such bilateral deal ever concluded by the U.S. Over the years Washington has, in addition, provided emergency economic assistance and loan guarantees. Militarily, total American assistance to Israel, from 1949 to 2016, amounts to a whopping $124 billion, making Israel the largest beneficiary of American military aid in the post-World War II era. In 2007, the two countries concluded a ten-year, $30-billion package, thereby providing the IDF with the fixed financial basis it badly needed for purposes of planning its force structure; a second ten-year package, for $38 billion, was signed in 2016. The import of this aid can be measured not just in the absolute dollar amount but in the way it is disbursed. Since 1981, all assistance to Israel has been in the form of grants, not loans, and each annual sum arrives in its entirety at the beginning of the year rather than in installments. Israel is also the only recipient that for decades was allowed to spend part of this assistance for procurement in Israel itself rather than in the United States—although that concession is now being phased out. It is hard to imagine two countries engaged in closer or more intensive strategic consultation than Israel and the United States. Some constraints were once applied to U.S. arms sales to Israel, but these have mostly been lifted over the years, and Israel generally has access to the latest American technologies. In 2005, for example, Washington supplied Israel with “bunker-busting” bombs that had never been sold to any other country, and then accelerated the delivery of more such weapons during the 2006 Lebanon war. Israel was also the first foreign country to purchase F-35s, the most advanced American fighter. In practice, the United States is almost Israel’s sole foreign source of sophisticated weapons, some of them co-developed and co-produced in Israel. Beyond and behind the aid is a policy, a set of agreements, and a web of strategic activities. Since the 1980s, the United States has been committed to preserving an Israeli qualitative military edge (QME) over any possible combination of hostile Arab armies, an arrangement enshrined in a number of executive and congressional initiatives. When it comes to strategic consultation, it is hard to imagine two countries engaged in closer or more intensive bilateral exchange at all levels. Not only do Israeli prime ministers meet on a regular basis with the American president, senior officials, and congressional leaders, but the national-security establishments of the two countries enjoy intensive and ongoing contact, including an endless array of visiting delegations and professional teams as well as working groups that convene regularly and often. The benefits of all of this dialogue are easily stated. Over the years, the United States has consistently demanded that Israel not “surprise” it by taking controversial measures without at least first consulting. And, with rare or partial exceptions that we’ll explore later on, Israel has faithfully done as asked. Then there are the many examples of actual military cooperation. These include the linking of Israel to the American early-warning system that detects missile and rocket launches around the globe; joint military exercises; the pre-positioning in Israel of American weapons and munitions in order to save time in case of war, with Israel also being allowed to use some of these items (especially those with a brief shelf life) on a regular basis; mutual sharing of information and experience in the area of domestic security; and intelligence cooperation in the fields of counterterrorism, cyber security, and non-proliferation. So deep has the strategic relationship become over the decades as to raise the possibility of an actual defense treaty between the two countries. Perhaps the closest this has come to serious consideration was under Prime Minister Ehud Barak (1999-2001), who, in seeking dramatic breakthroughs to peace, held talks with the Clinton administration on a comprehensive U.S. security guarantee that might help assuage any post-peace-deal anxieties on the part of the Israeli public. But, at the time, few on either side were eager to proceed—in effect, Israel already enjoys the benefits of such a treaty—and in any case the peace talks collapsed. In the end, both sides favored a more limited agreement. Finally, in addition to providing Israel with the military wherewithal to ensure its security, the United States has also used its political and diplomatic leverage, in a variety of international forums, to protect Israel from an endless array of injurious resolutions concerning the peace process, various military and diplomatic initiatives, and, of particular note, Israel’s alleged nuclear capabilities. Thus, between 1954 and 2011, the United States vetoed a total of 38 one-sided or clearly anti-Israel resolutions in the UN Security Council, ten in the decade between 2001 and 2011 alone. In addition, Congress made U.S. payments to the UN contingent on acceptance of Israel in the Western and Others Group. Thanks to unequivocal American support, the 2006 war in Lebanon became the first military confrontation in the history of the Arab-Israeli conflict in which Israel did not face limits on the time it had to achieve its military objectives before the great powers would intervene to end the fighting. Although the United States has long been committed to an Israeli withdrawal from most of the territories captured in the 1967 Six-Day War, it has historically backed Israel’s view that UN Security Council Resolution 242, the bedrock document on which all peace negotiations have rested, does not necessarily require a complete withdrawal. Instead, American leaders have variously spoken of Israel’s need for “defensible borders,” of the possibility of “minor adjustments,” of Israel incorporating the “settlement blocs,” and other such formulations. Washington also shares the view that a final agreement must address Israel’s security concerns, and backs Israel’s opposition to a large-scale return of Palestinian refugees and its demand that Palestinians recognize Israel as the nation-state of the Jewish people. II. Is the Tail Wagging the Dog? Despite the strength of the strategic relationship between Israel and the United States, and the robust support it enjoys from the American people, the arrangement is hardly without influential critics; nor is it immune to cultural and demographic realities potentially injurious to its stability and longevity. To these we can now turn. Criticism of the strategic relationship comes in several guises. But the basic charge is this: instead of aligning itself with the priorities of its American benefactor, Israel has repeatedly and hot-headedly gone its own way, flagrantly disregarding American national interests and thereby damaging U.S. relations with other powers and hobbling Washington’s freedom of maneuver. 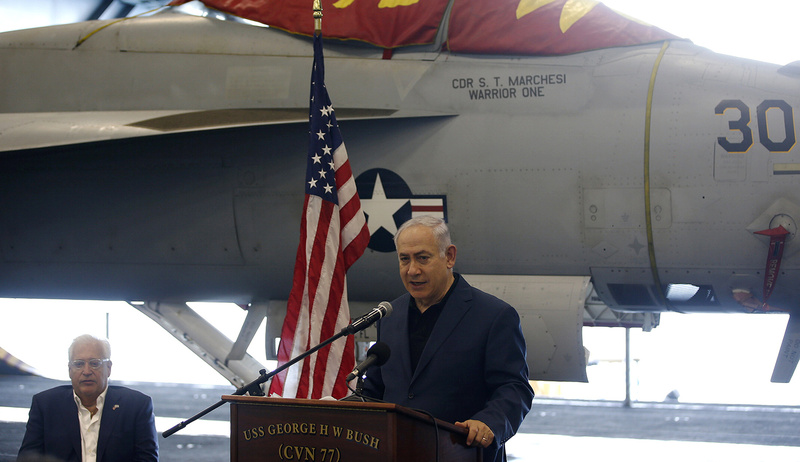 In short, Israel, the tail, has been defiantly wagging the dog of American foreign policy. Is there any truth to this charge? Israel does act independently at times, and possibly more often than one might expect in a totally asymmetrical relationship of this sort. In fact, however, with the exception of a few cases that I’ll get to shortly, considerations of U.S. policy and national interest have been the primary determining factor in virtually all major national-security decisions made by Israel ever since the “special relationship” evolved in the 1970s and 80s and in many instances long before then. Unless one expects nearly complete pliability and subservience, Israel’s acts of independence or “defiance” have been very few. The truth, indeed, is nearly the opposite of what the critics contend: by now, I would argue, Israel has lost much of its own independence to the United States. Since this statement would no doubt be contested strongly by many in both Israel and the U.S., let me substantiate it with a brief return to history. Far from acting in willful disregard of American national interests, Israel by now has arguably lost much of its own independence to the United States. In 1982, Israel launched the first Lebanon war only after at least partially convincing Washington of the need for a large-scale military operation, a diplomatic process that took the better part of a year. In 1991, it refrained from responding to direct Iraqi missile attacks on its population out of deference to American pressure. During the second Lebanon war in 2006, compliance with the American demand that it refrain from attacking Lebanon’s civil infrastructure left the IDF without a viable military strategy and was one of the main causes of the severe difficulties Israel encountered in that conflict. Two years later, concern over a potential lack of support by the incoming Obama administration led Israel to terminate a counterterrorist operation in Gaza earlier than intended. Then there was Israel’s decision in the mid-to-late 2000s not to strike the Iranian nuclear program, which it most definitely regarded as an existential threat. This was a particularly vivid example of the importance Israel attaches to the U.S. position, and especially to the need for American support for military action. 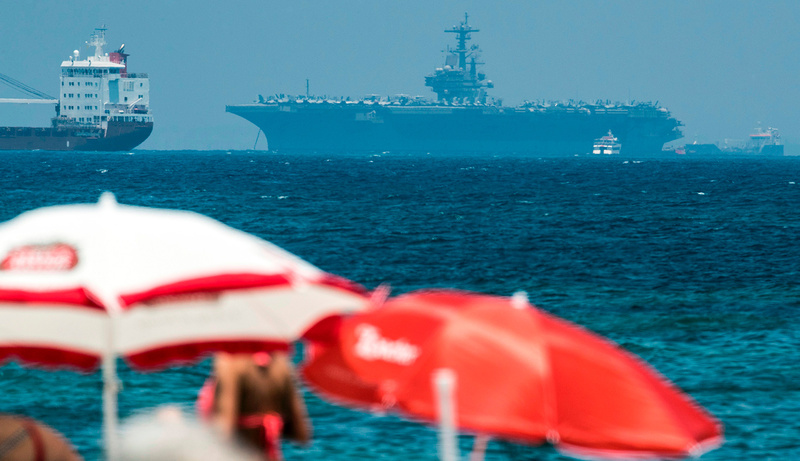 True, American opposition was not the only consideration—some in Israel doubted the efficacy or even the feasibility of a strike on Iranian facilities—but it was certainly a main and quite possibly the decisive one. Conversely, Israel’s reported strike against a Syrian reactor in 2007 was conducted with American understanding, if not outright support, but only after intensive consultation and after Washington made it clear it would not attack on its own. In the early 1990s, after seizing the initiative that would result in the Oslo agreement, Prime Minister Yitzḥak Rabin and Foreign Minister Shimon Peres closely coordinated Israel’s negotiating positions with the Clinton White House, which in 1993 succeeded the significantly frostier administration of George H.W. Bush. Later in that same decade, Prime Minister Ehud Barak met with President Bill Clinton to gain American support for his highly ambitious plan (mentioned above) to achieve peace with both the Palestinians and the Syrians, and then spent the following year in extraordinarily close contact with Clinton and other top American officials. At the Camp David summit in 2000, and again prior to accepting the “Clinton Parameters” later that year, Barak deliberately aligned his strategy and bargaining posture with Washington. Barak’s successor Ariel Sharon, although initially dismayed by the second Bush administration’s “Roadmap for Peace,” rapidly adopted it and closely coordinated with Washington the 2005 unilateral withdrawal from Gaza. In fact, it was the American position that led to Sharon’s decision to withdraw from Gaza in its entirety, to dismantle all of the Israeli settlements there, and to remove four settlements in the West Bank as well. The White House knew the details of the disengagement plan long before it was divulged to senior Israeli officials—including the defense minister. Later, Prime Minister Ehud Olmert similarly sought coordination with the United States at the 2007 Annapolis conference and with regard to his own far-reaching peace proposal to Palestinian president Mahmoud Abbas in 2008. Have there been, then, no instances of “defiance”? This takes us to one of the worst crises in U.S.-Israel relations. In 2000, an emerging Israeli relationship with China led to a major breakthrough in the form of a $2-billion deal for the sale of Israeli early-warning aircraft (the Phalcon). The sum was significant in and of itself, especially for a country of Israel’s small size, but the deal’s true importance lay in its being a harbinger of broader ties being sought by China, including for arms sales of a far greater magnitude. Since the aircraft itself had no American technology or components, no formal legal barrier existed to the deal. Nevertheless, the United States demanded that Israel cancel it out of concern that the aircraft might contribute to Chinese capabilities in some future conflict. Having unwittingly come up against the global considerations of a superpower, Israel tried to stonewall; but Washington’s position remained unambiguous and implacable. Probably on no other issue involving Israel has an administration joined hands with Congress to exert such heavy, even brutal, pressure. Some in Congress threatened a partial cutoff of military assistance; the Pentagon postponed action on Israeli requests for new weapons; the Air Force canceled a joint exercise with its Israeli counterpart. High-level talks on a strategic upgrade of the bilateral relationship were suspended, and the administration even threatened access to advanced defense technologies. In the end, Israel was forced to cancel the deal, pay China $300 million in compensation, and accept a bilateral mechanism for monitoring all future arms sales to countries of concern. The Sino-Israeli military relationship has yet to recover. Recurrent examples of Washington’s intervention in Israeli sovereignty—a rare phenomenon among friendly democracies—undermine the notion of ingrained Israeli “defiance” of the American superpower. Five years later, the same issue erupted anew, this time over follow-on support for an earlier sale to China of Israeli unmanned aerial vehicles (UAVs). Again the United States imposed sanctions on arms sales, joint projects, and exchanges of information and technology. Israel was barred from participating in the planning of the new F-35 fighter, and was subjected to a U.S. review of its arms-export procedures to determine why the supervisory process had failed and why Israel’s civilian leadership had not been involved in the exercise. Washington also insisted that the Knesset pass a new law regulating arms exports and that the cabinet set up an inter-ministerial coordinating committee to supervise exports of, in particular, items that could be used for either civilian or military purposes or both. Finally, the director-general of the ministry of defense, whom the United States held personally responsible for having misled it, was forced to resign. Such blatant intervention in the sovereignty of another nation—very rare, certainly among friendly democracies—hardly supports the notion of ingrained Israeli “defiance” of the American superpower. And neither does another example of the same supposed syndrome, this one concerning Israel’s purported development of independent nuclear capabilities. Here, the U.S., over time, modified its own attempt to block the nuclear program in its formative years (the 1950s and 60s). Since then, despite ostensibly trying to bring the program under the Non-Proliferation Treaty, Washington has never done its utmost to stop it and certainly never exerted the kind of effort it has made to prevent other countries from pursuing nuclear capabilities. More: over the years the U.S. has evidently come to accept the Israeli program and to provide diplomatic cover for it, no doubt on the well-founded theory that independent Israeli strategic capabilities actually serve American interests—by, among other things, relieving the U.S. of the need to come to Israel’s assistance in the event of a national emergency. In this light, Israel’s own behavior once again doesn’t look anywhere near so wayward or “defiant” as is claimed. The main point is this: in the decades since the “special relationship” began to emerge, there have been virtually no cases in which Israel has taken major military action without first consulting the United States. The one significant exception, and the one almost always cited, is the bombing of the Iraqi nuclear reactor at Osirak in 1981. Even then, however, although the Reagan administration wasn’t apprised of the actual plan of attack, a lengthy period of intensive consultations on the subject of the reactor did precede it. Something analogous can be said about the recent case of Prime Minister Benjamin Netanyahu’s sharp opposition to the 2015 nuclear deal with Iran. As it happens, even some of the deal’s American supporters acknowledged the severe dilemma and potentially existential threat posed to Israel by Tehran’s quest for nuclear weapons and its declared intention to use them against the Jewish state. Indeed, were Iran ultimately to go nuclear, history would judge Netanyahu harshly had he refrained both from attacking Iran’s facilities and from expressing strong objection to the deal. Of course, the very public way in which Netanyahu chose to oppose the deal, in a speech to the U.S. Congress, was an aberration; other Israeli leaders, no less strongly opposed, stopped well short of advocating open defiance of the United States. But it would have been even more openly defiant had Israel resorted to force—in, ironically enough, what would have been an inarguably legitimate exercise of its national prerogatives. Apart from the nuclear arena, the most contentious set of issues these days, generating the loudest complaints of Israeli defiance, centers on the peace process, especially when it comes to the status of Jerusalem, the settlements, and the Golan Heights. But let’s be honest: if Iran is an issue of existential importance, so is the future of the West Bank as a whole, not only from the perspective of defense but also in terms of Israel’s future character as a nation. As for Jerusalem and the settlements, they are of supreme ideological importance. A large majority of the Israeli electorate considers Jerusalem to be the very heart of Judaism and of Israeli statehood, and a substantial, highly motivated, and well-organized minority opposes any concessions on the settlements. Out of strategic as well as ideological considerations, an overwhelming majority is similarly attached to Israel’s control of the Golan Heights. In matters of such critical importance to its future, it is wholly appropriate for Israel to set its own course. And yet, even Israel’s most hawkish premiers have refrained from annexing the West Bank and have generally sought to minimize differences with the United States over the settlements, including by instituting restraints on construction. Netanyahu, more embattled with Washington than any predecessor, agreed to a ten-month settlement freeze at the beginning of his premiership and again reined in settlement activity in 2015 because of American opposition. Other prime ministers (Rabin, Peres, Barak, Olmert, even Sharon) hewed to policies far more closely aligned with American wishes and, in at least one case (Barak), greatly exceeded them. Again for the sake of honesty, it should be noted to Washington’s credit that, whatever questions have been raised by American administrations about the wisdom of Israel’s policy regarding the West Bank, Jerusalem, and the Golan Heights, the response has generally been tempered by an appropriate regard for the positions of Israel’s democratically elected leaders. And this, indeed, is one of the defining—if superficially puzzling—characteristics of the asymmetrical America-Israel relationship: the United States neither expects nor desires complete Israeli subservience and, therefore, accords Israel a modicum of independence that it might not ordinarily consider appropriate for so overwhelmingly dependent a client. Part of this may reflect that intangible “something” that makes the American-Israeli relationship special, and part may reflect the unmistakably pro-Israel sentiments of the American people. Mostly, though, it reflects a calculation of American strategic interests. That Israel faces uniquely difficult and harsh external circumstances, and that preservation of its security can at times require unusual measures, is something long recognized by Washington. Were the U.S. to demand complete Israeli pliability, it would have to assume responsibility for a defense burden it does not seek. By allowing Jerusalem a measure of freedom, especially at the low and high ends of the threat scale, the United States frees itself of that responsibility. At least to some extent, then, instances of independent Israeli conduct should be viewed not as defiance of the United States but as indications of the maturity of the relationship. U.S. military and diplomatic support has helped build a strong and prosperous Israel that is increasingly confident of its own security, which is the true long-term objective of the special relationship. If it must rely on another country, Israel’s great fortune is that it is dependent on the United States, usually a well-intentioned benefactor. At the same time, however, it is arguably if uncomfortably true that, as a small actor facing numerous and often severe threats, but with limited influence of its own, Israel has become too reliant on the United States as the patron of first and last resort for virtually all of its problems. Israel can and does occasionally appeal to other countries, but such appeals are usually of marginal utility, and what the United States cannot achieve, Israel almost certainly cannot achieve on its own, which reduces the incentive to try. Although the United States is indeed a generally reliable patron and does try to live up to its commitments, it has failed Israel on a number of critical occasions. And in some of these cases Israel has been forced to take action on its own—thereby demonstrating, notwithstanding the reality of its dependence on Washington, a different strategic imperative: the need to maintain independent capabilities. All of which leads to a question: will the bilateral relationship itself remain as robust as it has been till now, or has it peaked and is it bound to decline? And if the latter, what then? To be sure, nothing like France’s abrupt abandonment of Israel in 1967 is in the cards or perhaps even thinkable; the political and cultural foundations of the “special relationship” are too strong for that. Moreover, the United States is too invested in Israel’s existence and security, and the strategic relationship has become too institutionalized, for a simple break. Israel can thus count on American support for the medium to long term; but the degree of that support could change, and even a marginal decline would have profound effects. Several factors are worth considering in this connection. Although overall support for Israel in the U.S. public remains high, political and demographic trends are troubling. One of the secrets of American support for Israel has been its historically bipartisan nature. But even before the dramatic confrontation over the Iran nuclear deal, Republicans and conservatives were becoming far more supportive of Israel than liberals and Democrats. Not that there was or is anything wrong with rising support on the right; it is the loss of support on the left, and the identification of Israel as a partisan issue, that is of concern. There has also been a significant decline in support for Israel among younger Americans who have grown up in an era when memory of the Holocaust and of Israel’s heroic beginnings has faded and when instead Israel’s image in the liberal media and on college campuses has become one of a brutal and even racist occupier. So it is not surprising, although surely dismaying, that a 2011 survey should have found 25 percent of American students believing Israel to be an apartheid state, with a further 50 percent undecided. These young people are unlikely to turn into future supporters of Israel, whether as voters or as holders of positions of influence. A similarly problematic process is under way among, specifically, younger American Jews, only about a third of whom (as compared with 53 percent of those sixty-five and older) now view Israel as a very important component of their Jewish identity. If, in 1981, more than 80 percent of young Jewish Americans reported that Israel’s destruction would be a personal tragedy for them, by 2007 fewer than half felt that way, and 25 percent even thought that the United States was giving too much support to Israel. Low birth rates, high intermarriage rates, and assimilation continue to undermine the strength of the Jewish community, historically an irreplaceable source of support for Israel. True, somewhat offsetting these trends is the change in the religious composition of the Jewish population: the number of Orthodox and ultra-Orthodox Jews is growing, while the number of Conservative and Reform Jews, traditionally at the forefront of pro-Israel support, is decreasing. Proportionally, 35 percent of all American Jewish children under the age of five today are Orthodox, and by 2050 the Orthodox community as a whole may increase from 10 to 25 percent of the total Jewish population today. Among the Orthodox and many of the ultra-Orthodox, support for Israel is firm—although, as the above percentages suggest, their absolute numbers still lag behind those of Conservative and Reform Jews. Another factor is the erosion of the centralized approach toward Israel that long characterized the organized Jewish community. Today’s ideological divisions, exemplified by the rise of Americans for Peace Now and J Street on the left and of American Friends of Likud and the Zionist Organization of America on the right, have weakened AIPAC’s heretofore unchallenged role as the sole representative of the pro-Israel community and exercised a negative impact on the leverage available to the pro-Israel forces as a whole. As the trend becomes more deeply embedded, it is likely to cripple the American Jewish community’s role as Israel’s “strategic hinterland.” And this is happening at the same time as the two groups in the United States among whom support for Israel is the lowest—Hispanics and the religiously unaffiliated—are growing rapidly. In Congress, support for Israel has become a proverbial mile wide and inch deep, frequently mouthed as a kind of boilerplate that elected officials repeat without much conviction. To these large tectonic shifts one has to add that support for Israel in Congress—which, based on voting records, has never been stronger—appears to have become a proverbial mile wide and inch deep. Staunch support for Israel plays well in a number of highly committed and influential constituencies, but elsewhere it seems to be mouthed as a kind of superficial boilerplate that elected officials have learned to repeat without much conviction. In explaining this state of affairs, some have pointed to the Obama effect. As the product of a generation brought up and educated with a more hostile conception of Israel and with greater sympathy for the Palestinian cause, President Obama, it is said, introduced an unprecedentedly unfriendly attitude to Israel at the highest levels of the government. To the degree this assessment is true, however, the question is whether Obama was an exception or the herald of a larger emerging trend. So far, President Trump has allayed concern by striking out in the opposite direction, but whether this will amount in the end to a partial or a permanent restoration remains to be seen. Does that mean that Israel should position itself for an era not of actively hostile presidents but of presidents who may well lack the warm instincts of recent predecessors? Strategic interests are a primary determinant of international relations; but so, too, and more often than many believe, are human emotions. To repeat: none of this is to suggest a significant downturn in the foreseeable future. Two countries that could weather the crisis over the Iran deal, in addition to longstanding differences over the future of the West Bank, are likely to continue to enjoy a strong relationship. There are, however, highly worrisome medium-term trends, and the relationship can no longer be taken for granted as it could in recent decades. Even a small modulation in American support would be of great consequence for Israel; were current trends to continue, the change could become more than marginal. And what then? To put the question at its starkest: if circumstances were to undergo a drastic change, and U.S.-Israel relations were to suffer a nosedive, could Israel survive without the U.S. altogether? The question is, of course, speculative, and very hard to answer in any definitive manner. But, for argument’s sake, let’s entertain the hypothesis. First of all, Israel itself, as a country, clearly could survive the demise of the US. military-assistance program, which in the mid-2010s constituted approximately 3 percent of the state budget and 1 percent of GDP: a painful but not insurmountable cut. Second, however, for the defense budget, of which U.S. aid has constituted a hefty 17–20 percent in recent years—a sum equivalent to the Israeli military’s entire procurement budget—any such stoppage would deliver a severe blow. Since, out of that overall defense budget, the allocation to the IDF stands at a bit less than half, with the rest going to highly expensive rehabilitation programs for the injured and compensation to widows, pensions, and more, an end to American aid would be devastating absent a major reordering of national priorities, with profound ramifications for Israel’s economy and society. The actual military consequences would be even more severe with regard to the supply of weapons, where Israel’s dependence on the United States is critical. Unlike the case with the Arabs, who can procure weapons from numerous sources with few constraints, it is hard to imagine the other major arms producers today—Britain, France, Russia, China—stepping in to take America’s place. Even assuming the political willingness to do so—a highly questionable assumption—none would be willing to provide the funding; nor is there any qualitative substitute for American arms. Israel does manufacture (and export) a remarkable variety of munitions on its own, but these are designed to fulfill unique operational needs. Otherwise, there are only three exceptions to its reliance on weapons systems from the U.S: it produces its own tanks, albeit equipped with American engines, and buys submarines and missile boats from Germany. Moreover, as we saw earlier, the U.S.-Israel military relationship extends far beyond the supply of weapons to include the link to the American warning system, bilateral and trilateral exercises, and even a de-facto security guarantee. 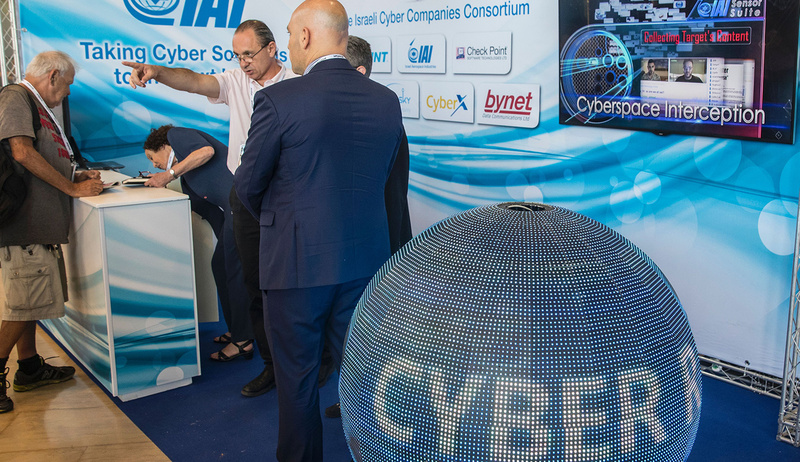 No other country can or would provide Israel with such capabilities and assurances, and no other country would have helped Israel build a rocket and missile shield—the only one of its kind in the world—or (reportedly) engage with Israel in joint offensive cyber operations. On the diplomatic level, too, there is no alternative to the United States today. No other permanent member of the Security Council would repeatedly use its veto to protect Israel from sanctions, or provide diplomatic cover in virtually all international forums, or even try to take a balanced position on the peace process. As Israel’s international isolation has grown, its dependence on the U.S. diplomatic shield has become almost complete. In brief: economically, were it forced to, Israel might somehow tough it out virtually alone in a globalized world, but the adjustment would certainly be difficult and require drastic domestic changes. Militarily and diplomatically, it would be close to impossible. No one likes to be reliant on a foreign power, even one as friendly and well-meaning toward Israel as the United States. This, however, is the reality, and its implications for policy need to be faced soberly. Pulling the lens back a bit, one can safely say that, militarily, Israel has never been stronger or more secure. The Arab armies of yore are in disarray or their governments, gratifyingly, are at peace with Israel, and there is virtually no danger of conventional military-to-military warfare. Syria’s chemical arsenal has been largely dismantled. Hamas poses a painful but limited threat, Hizballah a major but not existential threat. The only potentially existential threat—Iran’s nuclear aspirations—has been checked at least for the time being. In all of these respects, Israel’s classical national-security doctrine, with its three core concepts of deterrence, early warning, and decisive offensive action, must be deemed a dramatic success. And yet, in the chaotic ferment of today’s Middle East, Israel continues to draw a broad spectrum of enmity. Iran, in addition to its long-term nuclear aspirations, is rapidly, with the help of Russia, expanding its grip on the region, and is the owner and sole proprietor of Hizballah. A regional buildup of conventional arms is also under way, as is the capacity for conducting cyber warfare. In response to Iran, others in the region may go nuclear, creating a nightmare scenario for the Middle East as a whole. At the same time, ongoing efforts at the delegitimization of Israel have severely undermined its international standing, increasingly affecting its bilateral relationships as well. While the country has developed growing ties with many more countries than ever before, including in Eastern Europe and in Asia, Africa, and Latin America, its standing among traditionally friendly states, especially in Western Europe, has collapsed. Israel could, arguably, afford to lose the support of West European states and publics, wedded as so many of them are to the disabling shibboleths that Israel is the problem in the Middle East and that military power has become an outdated and morally contaminated instrument of statecraft. American support, however, as we have seen, is another matter. Israel could, arguably, afford to lose the support of West European states and publics. American support is a different matter. And here another worry enters in: namely, that the overall international standing of the United States has itself diminished, and in the Middle East its diplomatic stature is at a nadir. As a consequence, the American ability effectively to address an array of major regional issues, from Iran’s ongoing nuclear program and headlong expansionism, to the possibility of regional nuclear proliferation, to the situations in Syria, Lebanon, and Iraq, has been undermined. For Israel, which is so closely identified with the United States and whose national security is so dependent on it, the implications are disquieting, especially in light of the concomitant rise of Russian influence in the region. There is, of course, a brighter side: even setting aside the “special relationship” with America, Israel still has close ties with Germany, Poland, the Czech Republic, Canada, Australia, India, Japan, and others, and extensive commercial and military ties with numerous countries around the world, many of which do not maintain diplomatic relations with it. Moreover, despite its rocky relations with the European Union over the Palestinian issue, Israel’s situation also earns understanding among many Western heads of government, if not among elite centers of opinion. Although it does not formally belong to any international bloc, alliance, or association, it is in practice very much part of both the American camp and to a lesser extent the Western one as a whole. And it enjoys considerable “soft power,” based in such diverse sources as the support of Jews the world over, Christian identification with Israel as the Holy Land, the country’s democratic values and reputation as an admired “start-up nation,” and more. While remaining alert to threats and liabilities, therefore, it is of the essence to preserve and build on Israel’s advantages. Without going into the details of actual policies—for these, I refer the reader to my forthcoming book—let me conclude by sketching the main points as they pertain to our specific subject here: namely, the “special relationship” with the U.S. In a nutshell, I urge an approach that may on the surface seem paradoxical if not contradictory, but which, in adopting a long-term perspective, takes into account both the strengths and the weaknesses of the current arrangement. —First and foremost, the “special relationship” should be explicitly declared as what I called it in this essay’s very first sentence: namely, a fundamental pillar of Israel’s national-security strategy. Practically, this will involve continuing to align Israeli policies with American policies, minimizing differences and areas of friction, and building a new bilateral agenda on which both sides broadly agree. —Next, even as there is no realistic alternative today to the extraordinary bilateral relationship with Washington, there is also no blinking the price paid for it in Israel’s loss of independence and freedom of maneuver. In reality, to be so heavily dependent on the United States serves neither side’s interests. There is thus much merit in Israel’s continuing to cultivate closer ties of all kinds with other friendly and politically compatible nations, both as an objective in its own right and as an insurance policy for cases where Israel’s interests may differ somewhat from those of the United States. —By the same token, in light of the warning signs discussed earlier, there is also merit in the suggestion that Israel should begin gradually weaning itself—not, it goes without saying, from American political and diplomatic support but specifically from American military aid, and in much the same manner as it did from American economic aid in the late 1990s. The question is one of political and strategic timing. It is of course very hard to forgo billions of dollars in annual aid, especially at a time when Israel continues to face major threats, when the United States attaches importance to Israel’s economic and social vitality, and when there is no pressure in Congress to end the aid. With that in mind, Israel should continue to pursue the closest strategic relationship possible with Washington while also stressing the elements of self-reliance that are central to its defense doctrine, including adequate military and strategic capabilities for those cases in which Israel does not need the United States or where the United States cannot or does not wish to become involved. 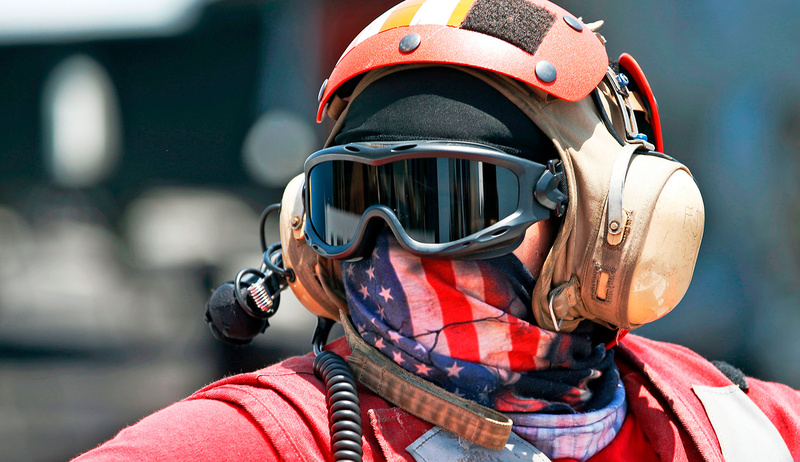 When might a multiyear phaseout of U. S. military aid begin? Circumstances permitting, the logical date would be at the end of the present ten-year aid package—that is, in 2027, by which time approximately 50 years will have passed since the massive aid program was born. In the unlikely event that strategic circumstances take an unexpected turn for the better, or, conversely, that significant political pressure for a cut were to emerge in the United States, Israel might consider proactively initiating an earlier phase-out. Of course, a resolution of the Palestinian issue would be one of the most effective means of reducing Israel’s dependence on the United States, and would also greatly reduce Israel’s international isolation and make it harder for Iran, Hizballah, Hamas, and others to pursue their anti-Israel agendas. To say the least, though, it is too soon to prognosticate such a resolution. —Then there is the question of an actual defense treaty with United States, broached, as I noted earlier, during the premiership of Ehud Barak. There are cogent arguments on all sides of this issue, but the advantages are worth recalling. A defense treaty would symbolize and cement the “special relationship” at a time when signs indicate it may not continue to be as deep as it is now. As a binding commitment to Israel’s security, a treaty would ensure the ongoing availability of weapons, remove any residual limitations on the supply of arms and technologies, and assure Israel’s long-term qualitative military edge. Crucially, it might also prove to be the only partially effective response to a nuclear Iran, let alone a multi-nuclear Middle East. On the negative side, Israel already enjoys a very close strategic relationship with the United States, including a probable de-facto security guarantee, and does not have a military need for a defense treaty, at least so long as no regional power acquires a nuclear capability. And there are other concerns: that a defense treaty could result in a loss of Israel’s freedom of maneuver, that the U.S. might demand that Israel divulge or even dismantle its strategic capability, and/or that an arrangement of this kind might erode Israel’s national ethos of self-reliance and thereby diminish support for Israel in the United States, which has long been predicated on the assumption that Israel, unlike other allies, defends itself. From this perspective, the very attempt to conclude a treaty could expose the limits of the relationship it was designed to enshrine. To mitigate some of these concerns, a treaty could be crafted that would explicitly not apply to cases of low- to medium-level threats and hostilities: the United States would not want to be involved in every such case, and would presumably prefer to continue providing Israel with the means to address them on its own, while Israel would prefer its operational autonomy. Then, too, since Israel already coordinates with the United States very closely on virtually all issues, and rarely acts independently even in extreme circumstances, a formal treaty wouldn’t materially change things; moreover, the commitment of each partner to consult with the other would be reciprocal. Finally, as is customary in such agreements, both sides would presumably insist on a “supreme national interest” clause, that is, one that enables them to act independently in extremity. 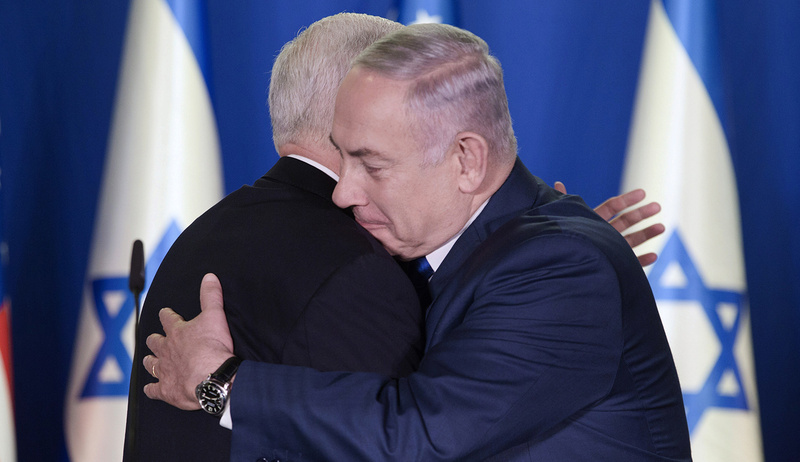 Should a formal defense treaty prove unattainable, Israel might seek a further upgrade of the strategic relationship through a less formal instrument like a memorandum of understanding, possibly approved by both houses of Congress for added weight. In sum: whatever storms may—or may not—await the U.S.-Israel “special relationship,” and whatever adjustments may be required to meet changing circumstances, only one constant remains to be stressed. In the final analysis, the most important U.S. security assurance is the commitment to provide Israel with the weapons it needs to defend itself by itself, against any enemy or coalition of enemies. That is the irreducible core; the rest is detail. Adapted with permission from Israeli National Security by Charles D. Freilich, to be released by Oxford University Press in early April. Copyright © 2018 by Oxford University Press, all rights reserved.